While using torrents to download all kinds of digital files is very popular, many not so techy users find it difficult to use. And for these users exist torrent-to-http services like zBigZ. BitTorrent Inc. the company behind ongoing development of the BitTorrent peer-to-peer protocol, has came up with an browser based torrent integration technology allowing developers to use the power of web-browsers and torrents to deliver easy-to-use file downloading and streaming services. To demonstrate the technology the company has released OneClick browser extension for Google Chrome which allows users to download torrents as regular files without requiring a torrent management client. 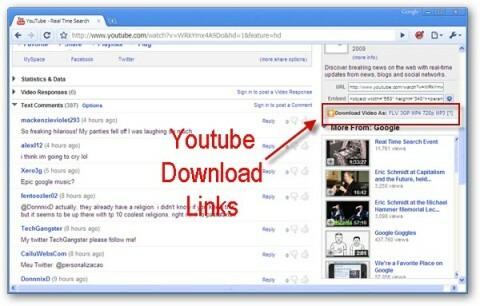 The user simply clicks a torrent link and the file starts downloading as any other http download inside web-browser. While we have some excellent free password managers like Lastpass, here is something very interesting from "Ford"!, yes a software for your computer from a car manufacturer. 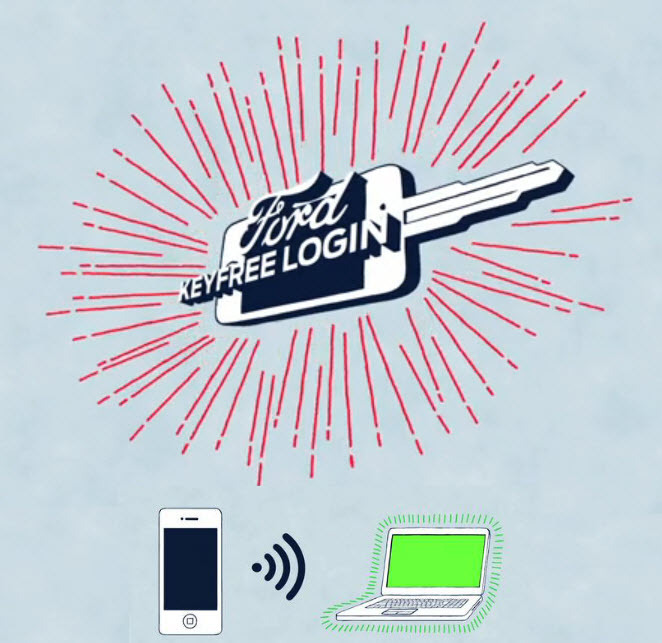 To promote the keyless entry system feature in Ford cars, the company has released a Chrome extension which once configured, stores user login details for websites like Facebook, Google, and Twitter and then, whenever the user is near their Mac computer the app detects them via bluetooth from an pre-approved smartphone and automatically logins to the websites. Imagine the possibility of just sitting down on your computer and getting 'automagically' logged into your online accounts, without hitting a single key or moving the mouse. Although, not very secure I would certainly like something similar to get integrated with my current favorite password manager "LastPass'. A video demonstration and download link after the jump. Bing's background images are simply stunning, but if you prefer Google as your search companion but would still like to use the bing wallpaper here is a neat solution for you. 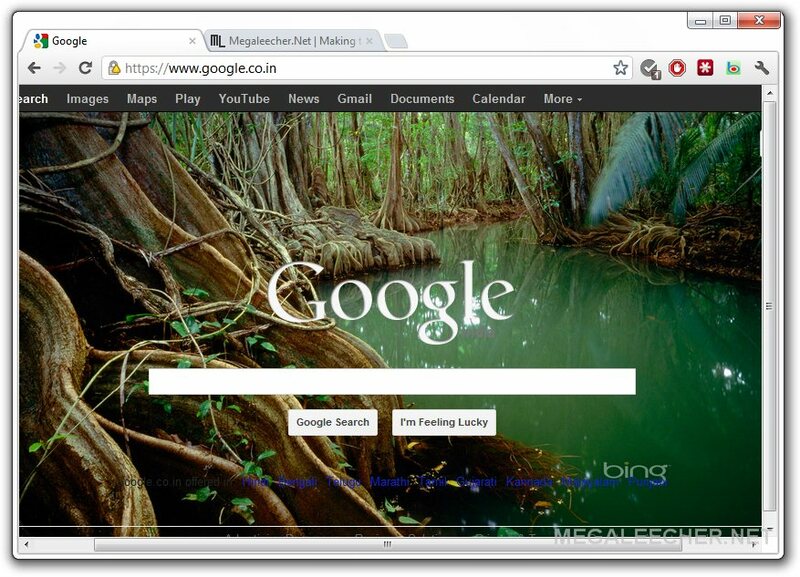 Free extension for Google Chrome browser - "Bing wallpaper for Google homepage" lets users automatically rotate the current bing wallpaper as Google background, apart from Bing images the extension also supports Picasa featured images, as well as RSS feeds from picasa - this is not all it also allows users to download the image as wallpaper for use on desktop. 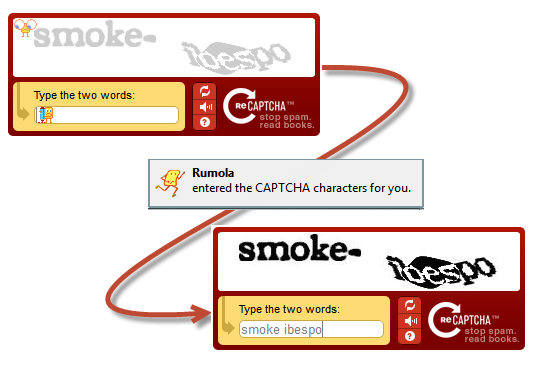 Although serving an essential task of securing automated non-human (BOT) access to web-services CAPTCHA image verification is an necessary evil, the annoying CAPTCHA codes not only wastes your time but can also become a pain at times when they get hard to recognize - resulting in repeated failed attempts. To get you relieved from this annoyance, a new web-browser addon "Rumola" offers automated CAPTCHA code decoding and filling to it's users. The addon is currently available for free on Firefox, Google Chrome and Apple Safari webbrowser - Once installed and activated "RUMOLA" gets into action automatically whenever a CAPTCHA test is detected and fills the code for you. 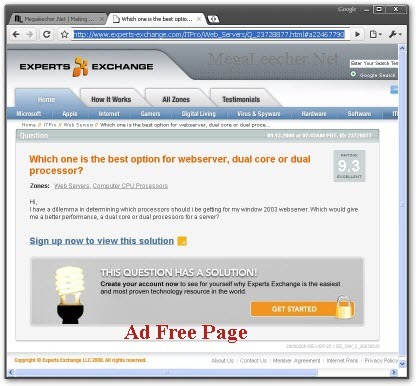 After Google Chrome Themes the first ever Chrome extension is now available, Named GreaseMetal the free extension offers functionality similar to highly popular GreaseMonkey extension for Firefox and GreaseKit for Safari, the free extension lets you use existing GreaseMonkey scripts to modify webpages being displayed, this also means Google Chrome will now be able to block advertisements using ad-blocking scripts. 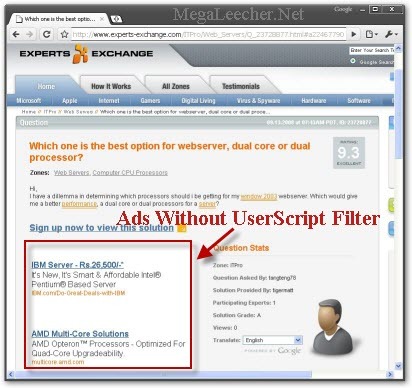 Since, Google Chrome does not provide any method to develop or support browser addons, Greasemetal has found the way around by using an inter-process communication channel called AutomationProxy, which is used for automatic testing of web browser functions, After installation, and launching Greasemetal will start hooking Google Chrome to insert userscripts achieving the desired behavior.